Your company’s reputation has become tarnished since I found out that you advertise on the Leah Remini show which has the sole purpose of spreading hatred and bigotry against the Church of Scientology, which has been my religion for the past 52 years. Your company’s reputation has become tarnished since I found out that you advertise on the Leah Remini show which has the sole purpose of spreading hatred and bigotry against the Church of Scientology, which has been my religion for the past 52 years. Since the show began, Churches of Scientology around the United States have received hundreds of hate calls and death threats and now, a young Scientologist has just been murdered as a result of the lies and hate emanating from Remini’s show. There has been enough bigotry and hate in the world over the past 60 or 70 years to last this planet for hundreds of years to come. 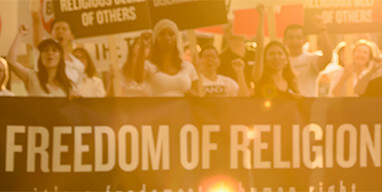 Religion is the usual target and the Church of Scientology has had its share of bigotry levied against it. I am disappointed to see such a company as yours associating itself with a show that only has the purpose to destroy a religion—mine—and your advertising dollars are funding this bigotry and hatred. I am not sure if you are aware of the ramifications of this program, so I am bringing it to your attention. Please remedy this. Let me know that you have ceased sponsoring the A&E/Remini show.